Unlike the heavy rose and jasmine scents in the warm air, the Indian aroma is an unforgettable one. The place is home to some of the best multidimensional and eclectic cultural mix that has truly resulted in a variety of delightful food traditions. There is no dish that can be termed as the perfect symbolization of India itself as the country is full of regional culinary traditions that together form the Indian food culture. 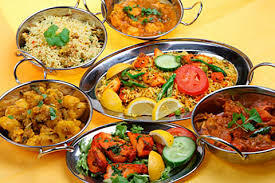 The variety of Indian food is enough to make even the most colorful of the pictures seem bland in front of it. It is both fiery as well as aromatic at the same time, especially due to the spices used during the preparation of these gastronomical delights. In fact, the term ‘curry’ has today assumed unimaginable proportions as a true Indian dish for most of the English countries. These so called curries come in all forms and tastes all across India depending upon the region you are visiting. It may be fiery red down south a mellower orange up north while on the western side you may find it leaning more towards the color of sunflowers. Be prepared for the chilly shock as and when you taste the same curry in the north eastern side of India whose chilies are said to be among the most potent ones of the world. Like the palette of an artist, an Indian kitchen is full of as many as twenty five spices used as per the directions and taste of the cook. For all of you who love to sample vegetarian stuff and are a perfect vegetarian, India is the place where you will get to sample more vegetarian dishes you could find in whole Europe. The sweets too are something that need to be tasted to be truly experienced for their culinary delight and taste. Whether it’s a ‘kulfi’ or a ‘jalebi’ you will find your sweet tooth asking for more of these gastronomical wares. In addition to this, you will find an abundance of both the temperate and the tropical fruits here such as the apricots, watermelons, mangoes, strawberries, pomegranates and many others along with other western confectioneries. To complete your food journey, do not forget to sample the ‘Paan’, a betel leaf wrapped with spices such as cardamom and aniseed. Indian food journey is so vast and countless, that it can hardly be kept shackled just into the kitchens. Available right on every street corner is some irresistible snack houses that offer great spicy food at inexpensive rates. However, caution needs to be taken by people sampling these for the first time as it can turn even the most seasoned foodie’s stomach upside down!!!! 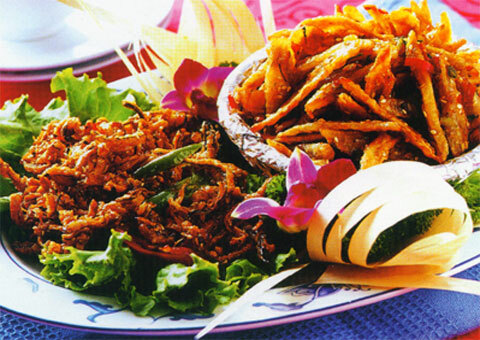 Given these delights, it is no wonder that Indian food is one of the most of popular cuisines of the world. So, take your savory glands on the most delightful gastronomical vacation they have ever been on !!! !